Dynamic changes in hydroclimatic variables (HC) and their effects on fluctuations of water-level (WL) are an important issue in order to properly manage available water resources. The present study presents an original view of the modeling of monthly WL fluctuations of Urmia Lake (UL), northwestern Iran, during 1986–2016. In order to study the nonlinear association between WL and HC, the hybrid of linear Autoregressive Moving Average with eXogenous variable (ARMAX) and nonlinear Generalized Autoregressive Conditional Heteroscedasticity (GARCH) as well as the multivariate GARCH (MGARCH) time series models are used. The fitted models identified streamflow, temperature, precipitation, wind speed, relative humidity, and day length as the affecting factors on the WL’s time-varying mean and variance. There are significant relationships between the dynamic behavior of conditional covariances of HC and WL, showing that WL depends relatively strong on weather conditions. The highest depth of memory in this dynamic process is related to streamflow. The results show that this association between HC and WL is more powerful when UL’s WL has been more than 1274 m and does not seem to change linearly through time. 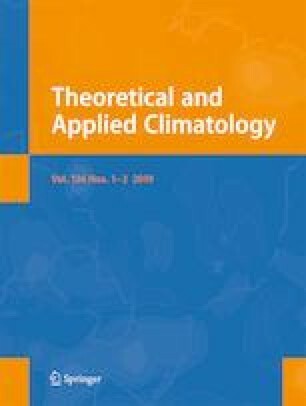 The results of this study are useful to understand UL’s WL dynamic behavior under the influence of weather conditions.